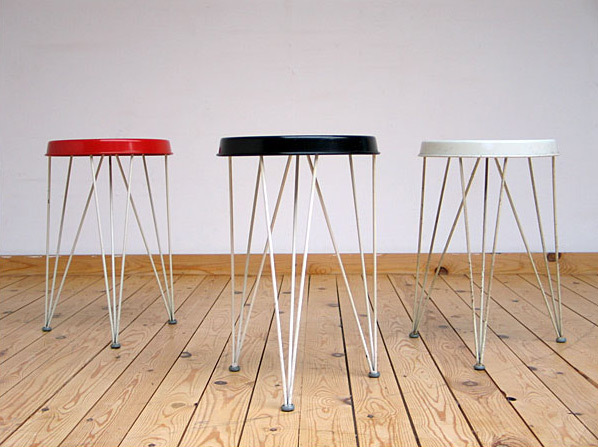 3 metal industrial Pilastro stools, red, black and white colored metal. Underneath white colored iron structure, period 1950. 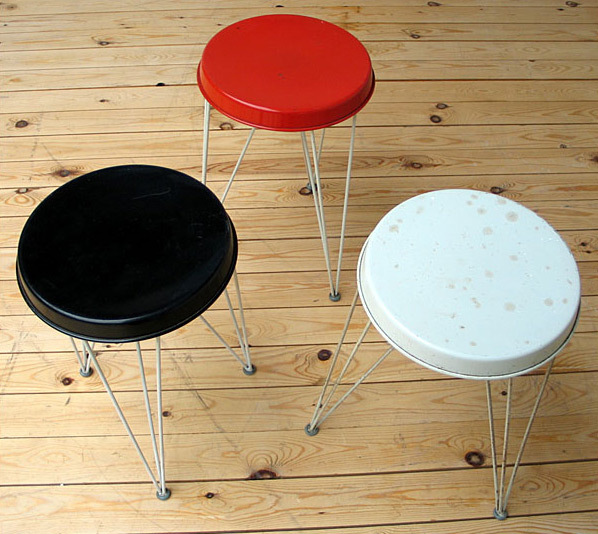 3 tabouret industriel Pilastro, couleurs rouge, noir et blanc. Structure de pied en fer de couleurs blanc. Période 1950. © 2019 furniture-love.com. Images and information may not be reproduced without permission.